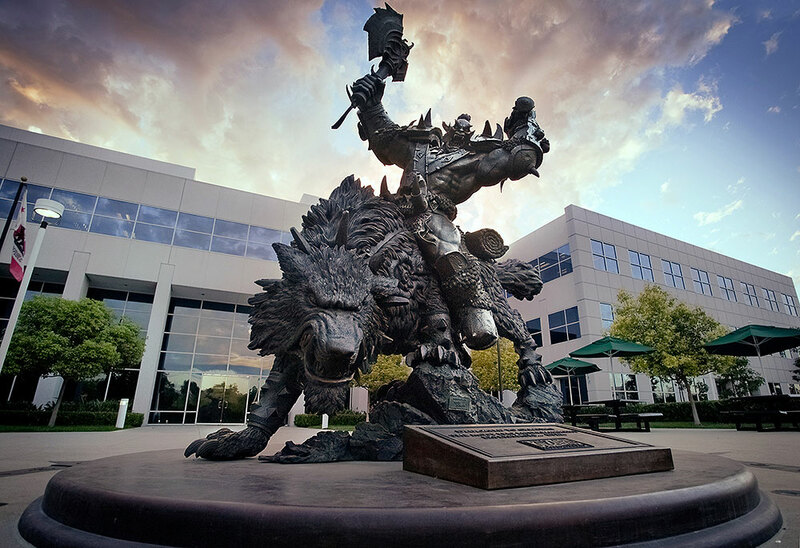 "Create a larger-than-life sculpture of a fearsome wolf-mounted orc warrior from Warcraft;" that was the challenge Blizzard presented to New Zealand-based Weta Workshop. 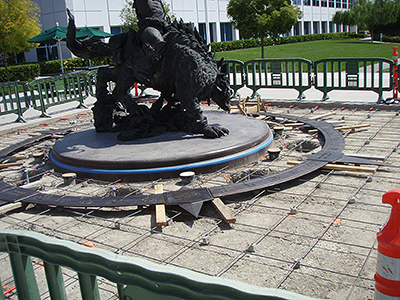 Blizzard worked closely with Weta artisans in New Zealand and China to turn the small prototype into a bronze behemoth. 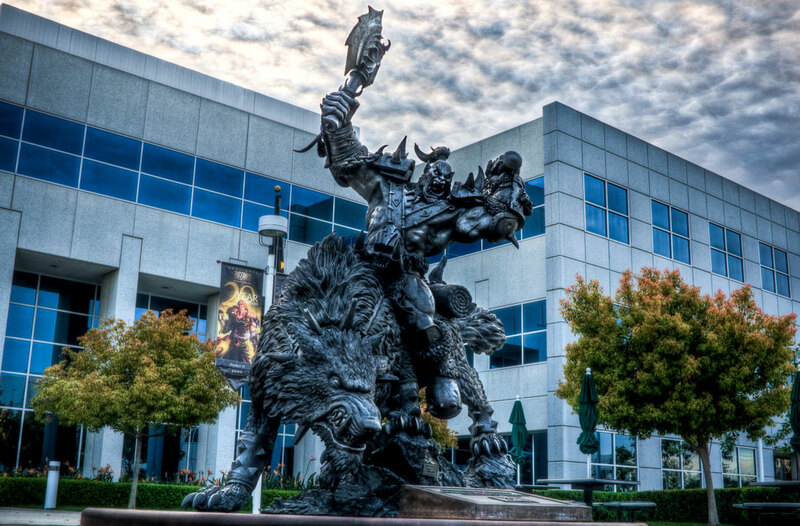 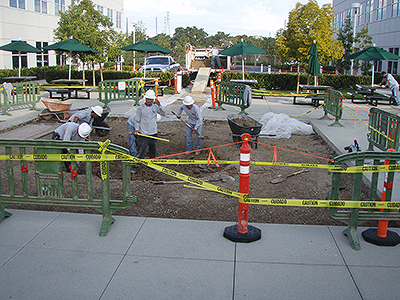 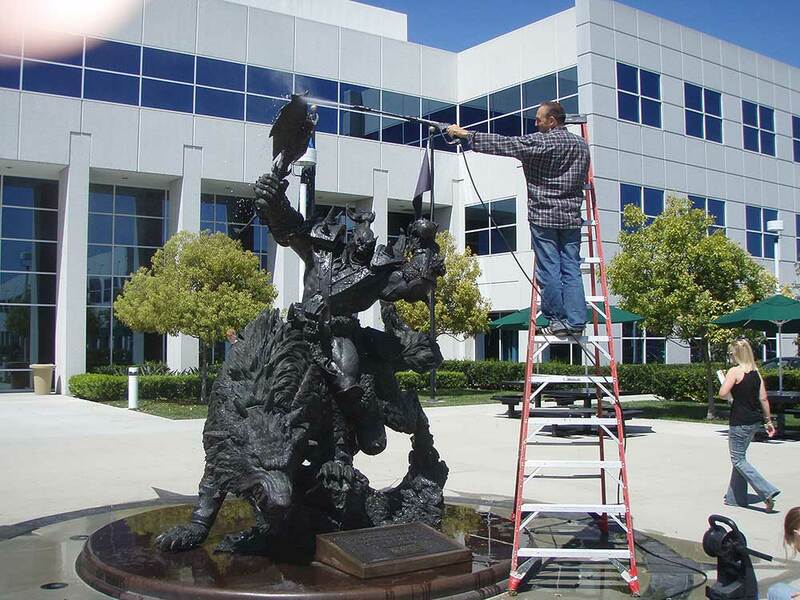 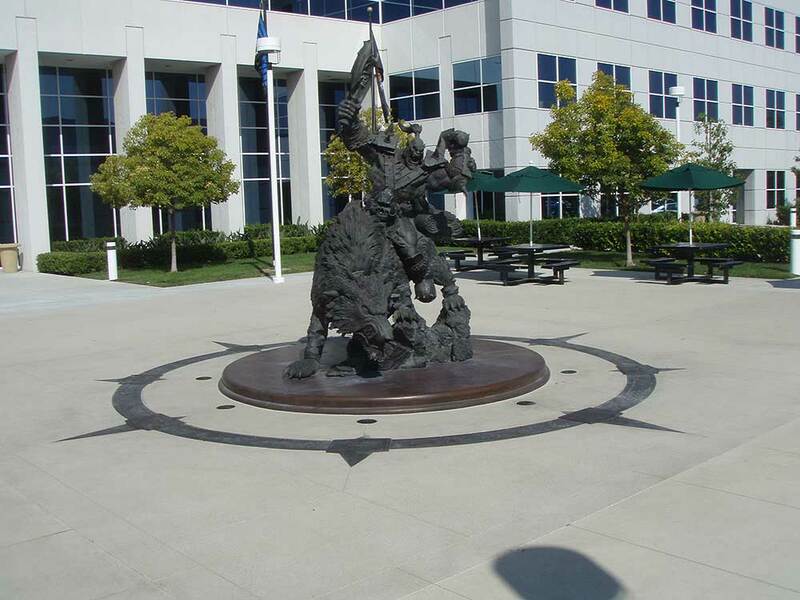 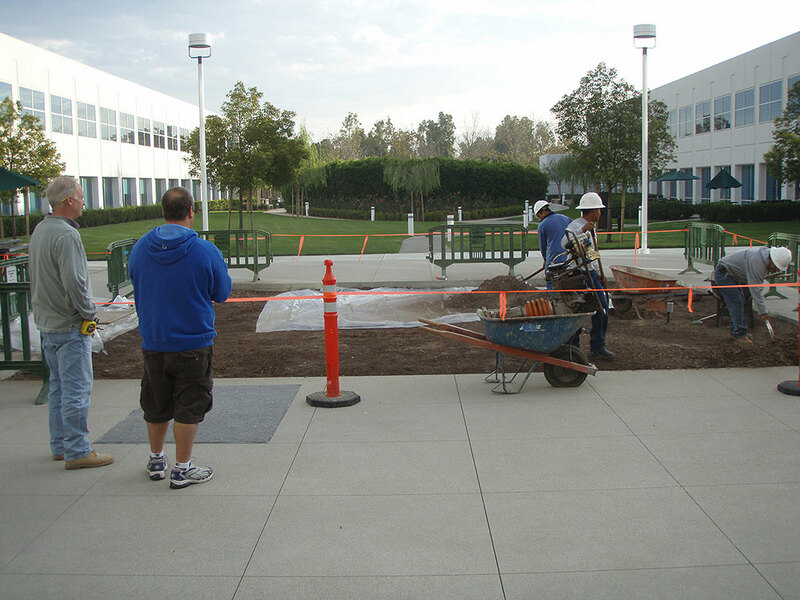 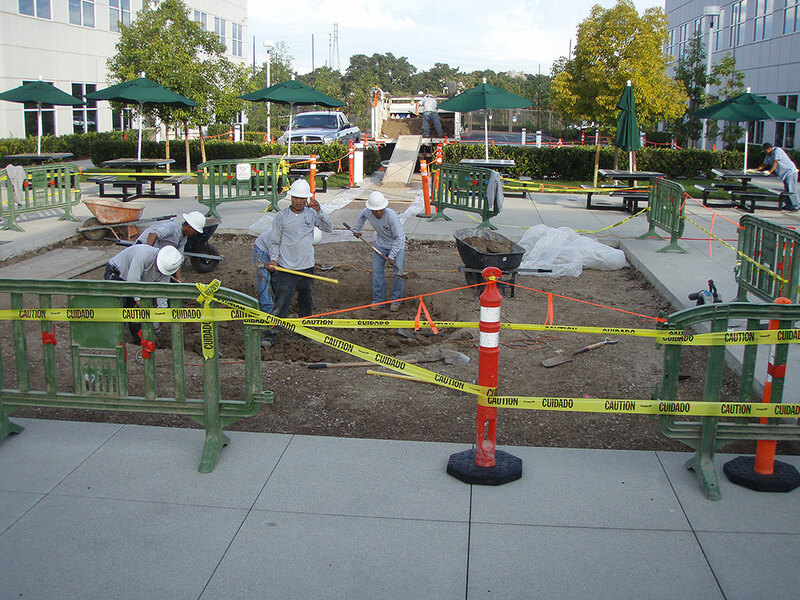 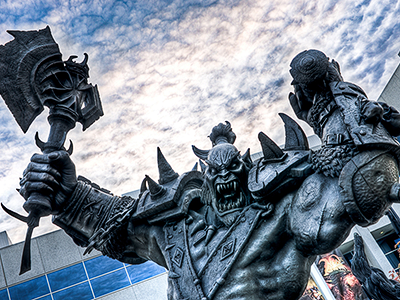 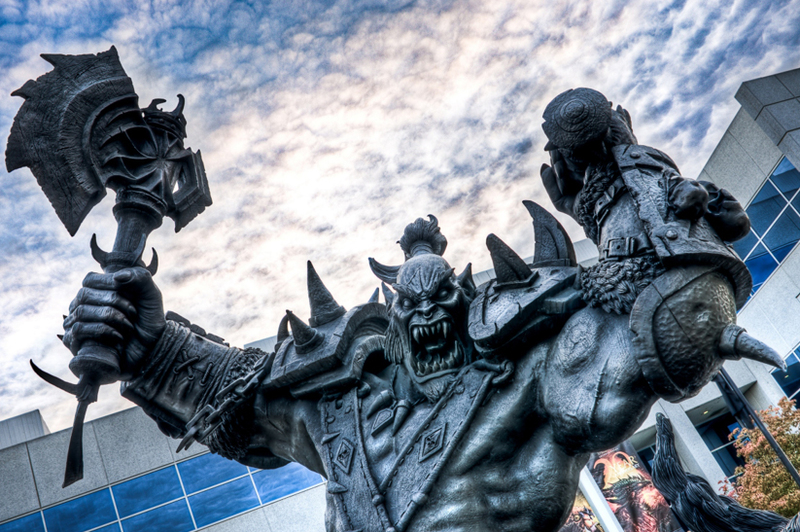 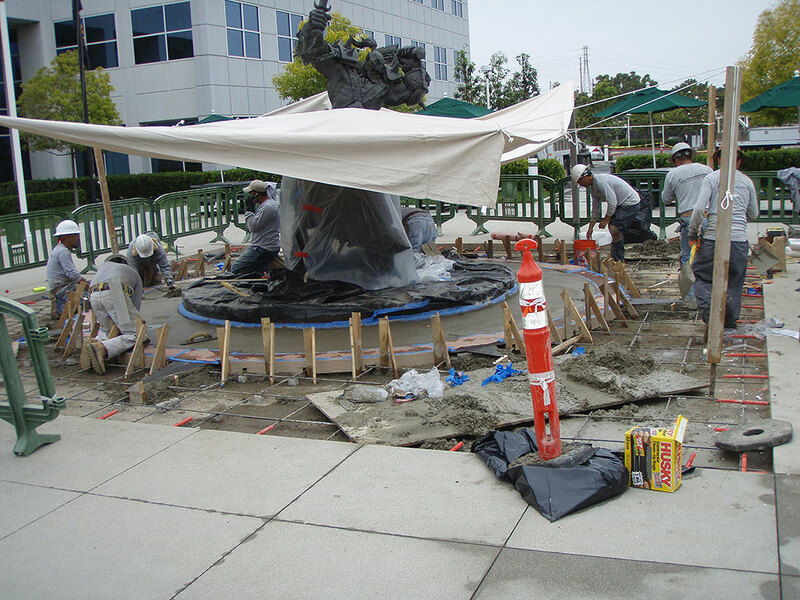 After over a year of intense work, the 12 foot tall, 2 ton bronze orc warrior now stands watch in the courtyard of Blizzard Entertainment’s Irvine campus. 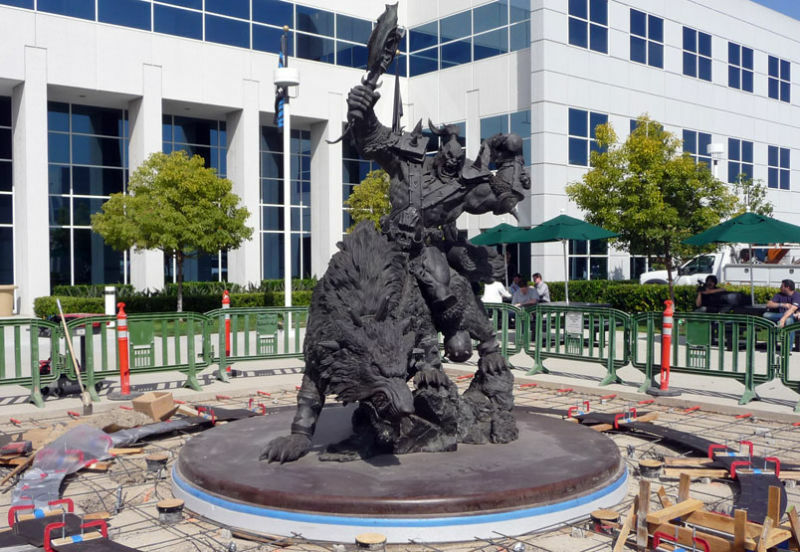 The 3D model was then sent to a manufacturing center in China, where the artists sculpted, molded, cast, waxed, bronzed, welded, and buffed to turn the virtual presentation into a 12 foot tall statue. 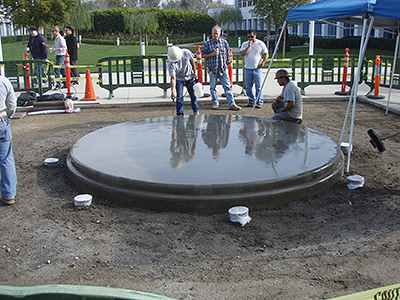 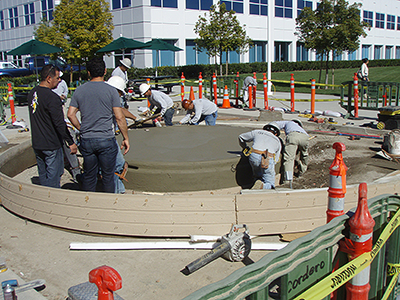 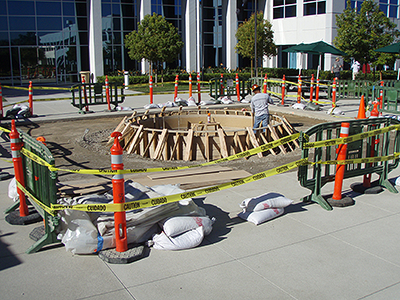 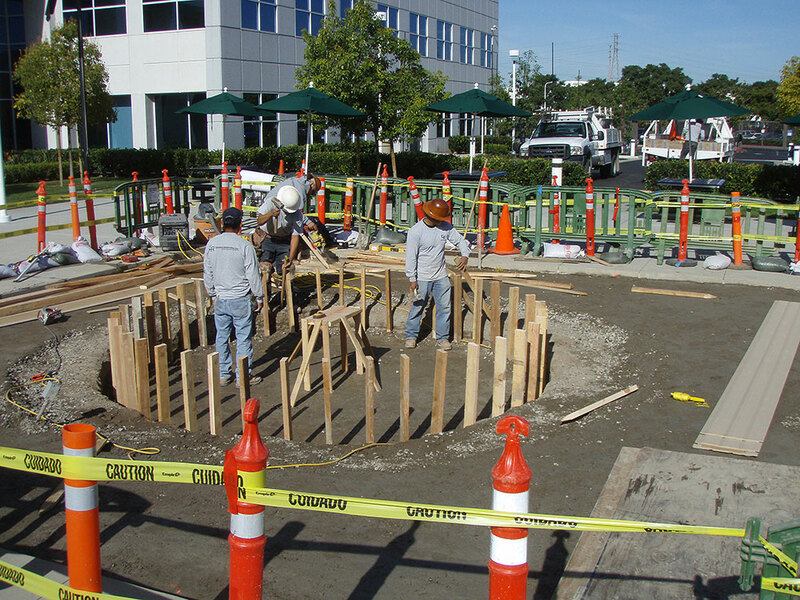 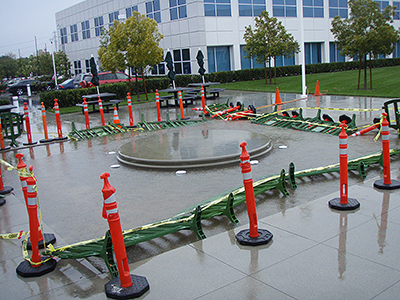 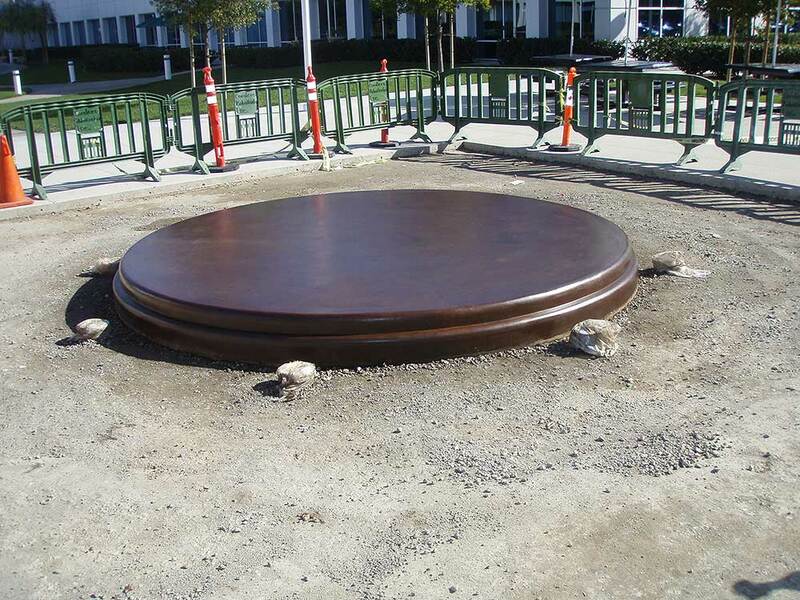 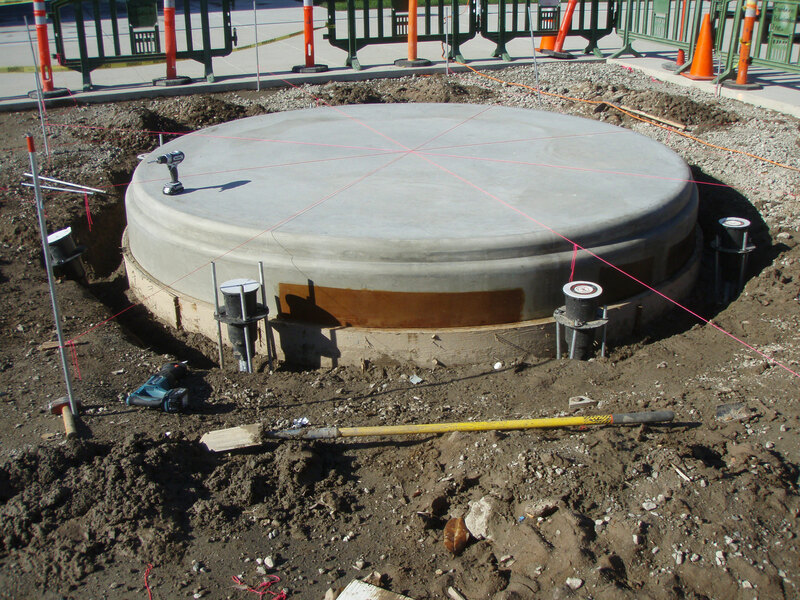 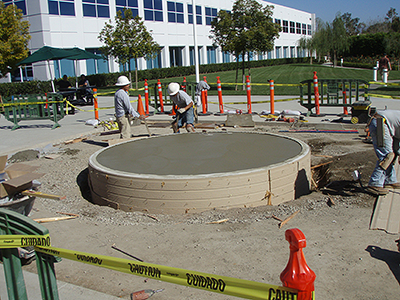 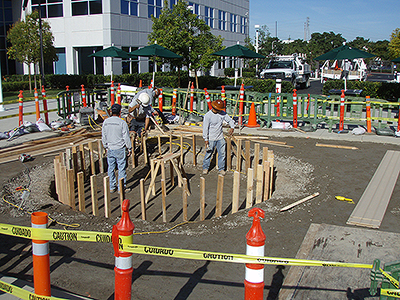 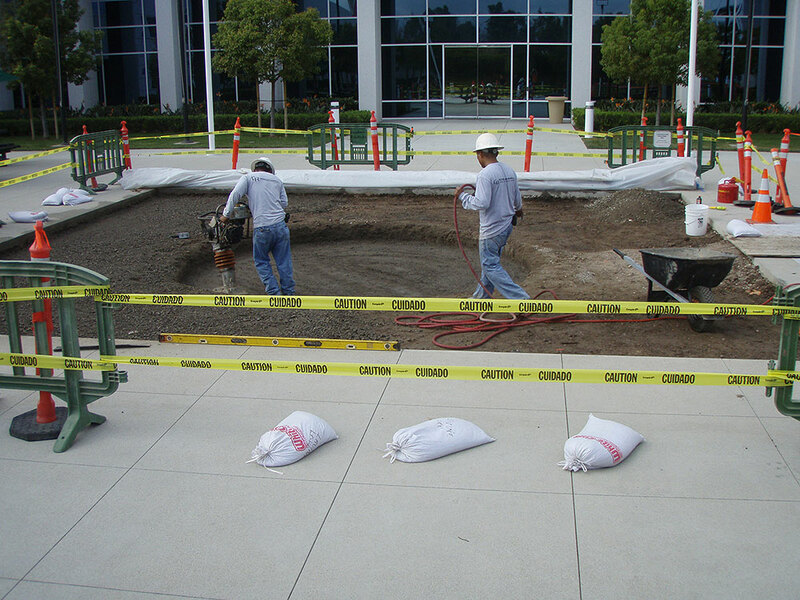 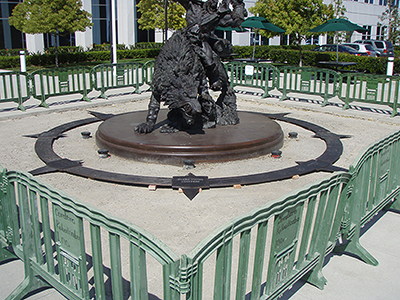 The massive sculpture was transported from China to Irvine using a custom-built steel dolly and shipping container, and set into place with a crane. 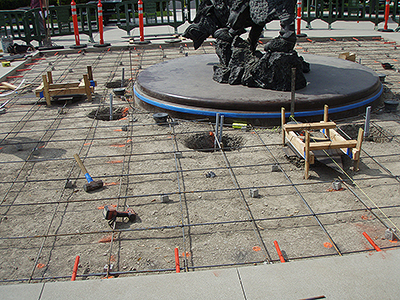 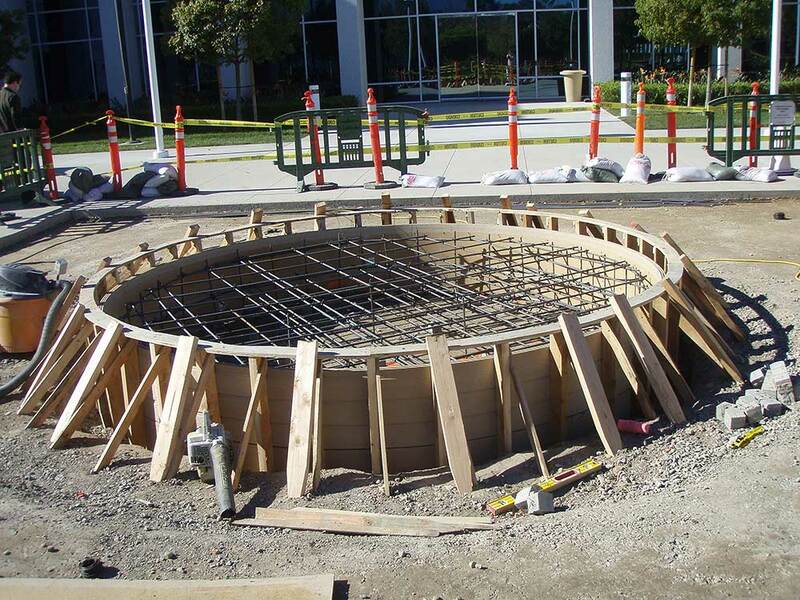 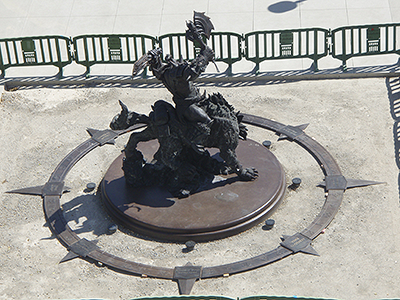 The sculpture was designed with a mechanical connection so it could be separated into two pieces to be transported. 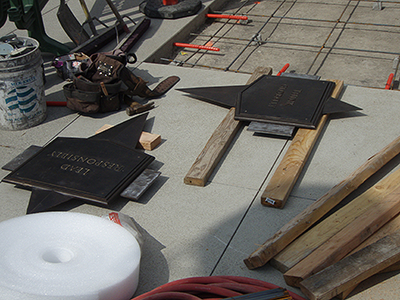 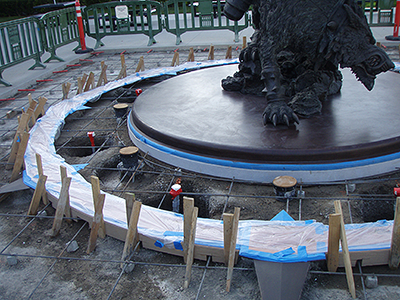 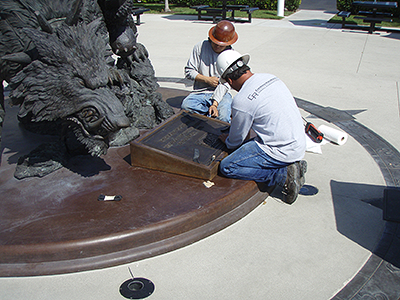 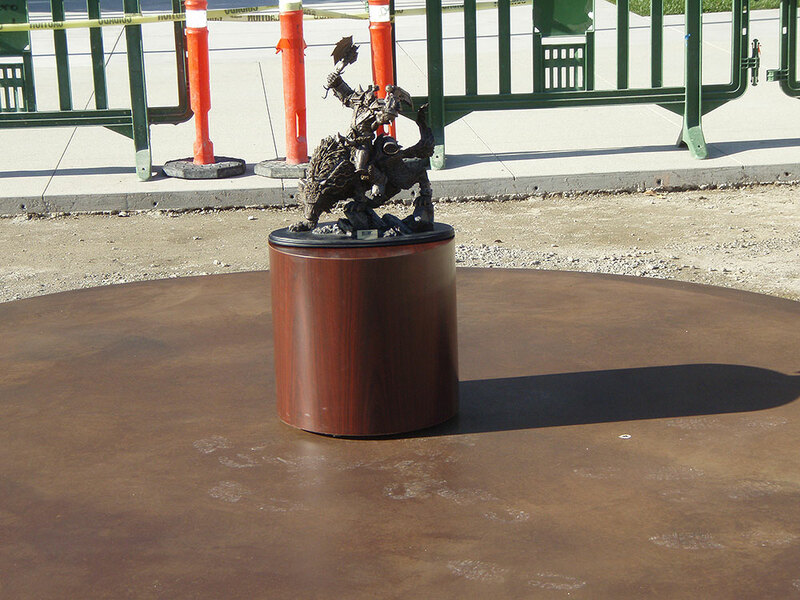 The sculpture is made of high-copper bronze, which is why the raw metal has a salmon pink color. 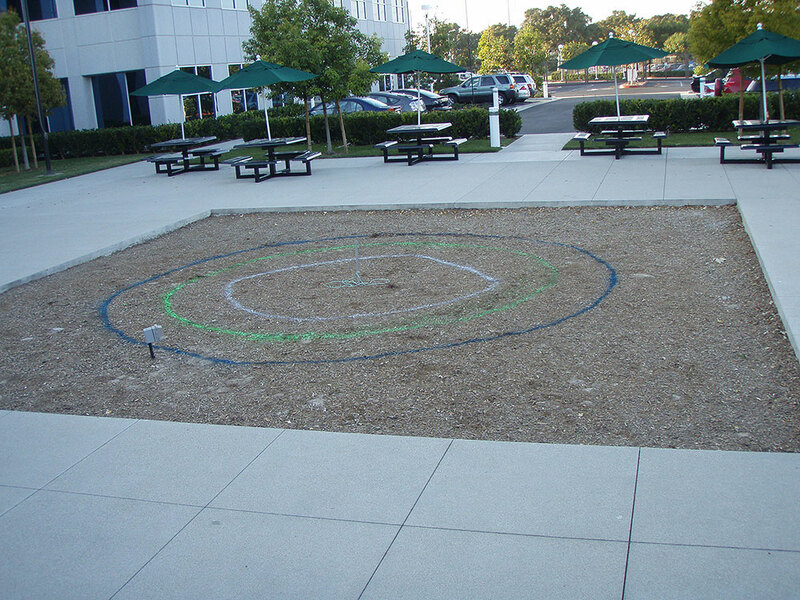 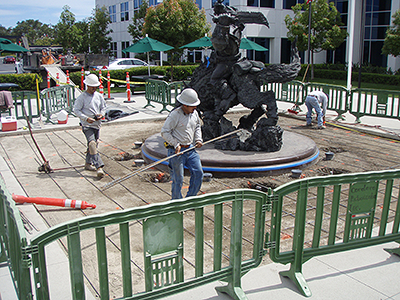 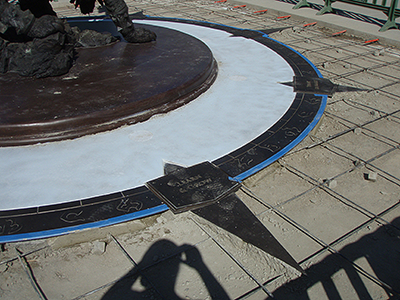 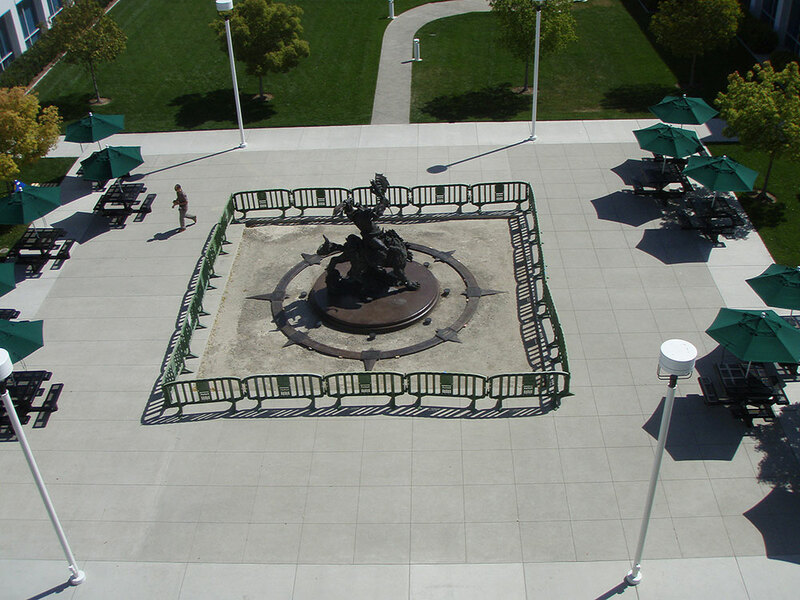 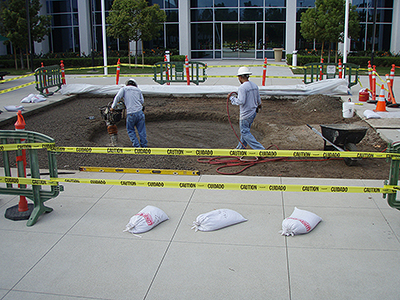 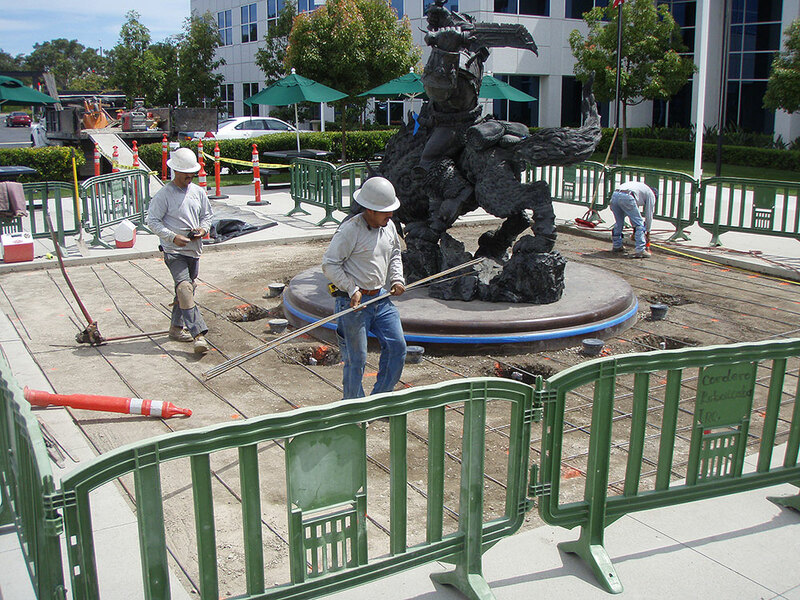 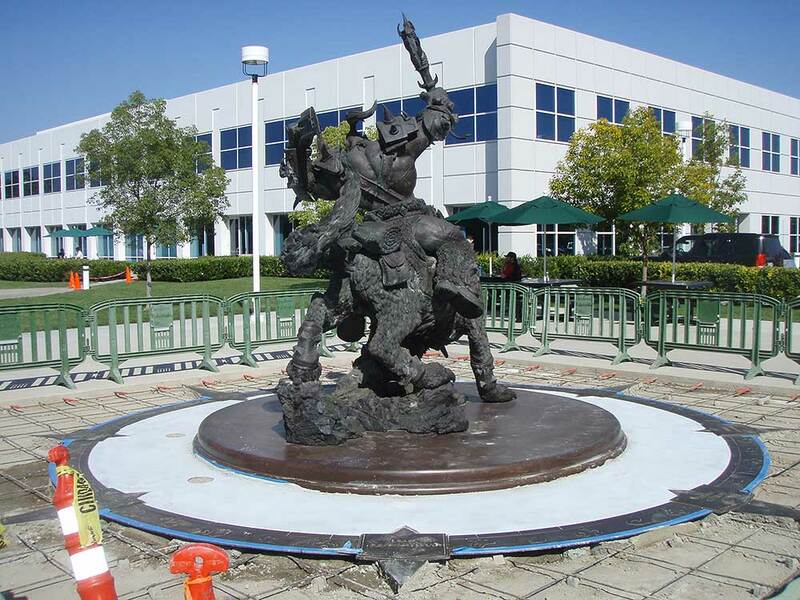 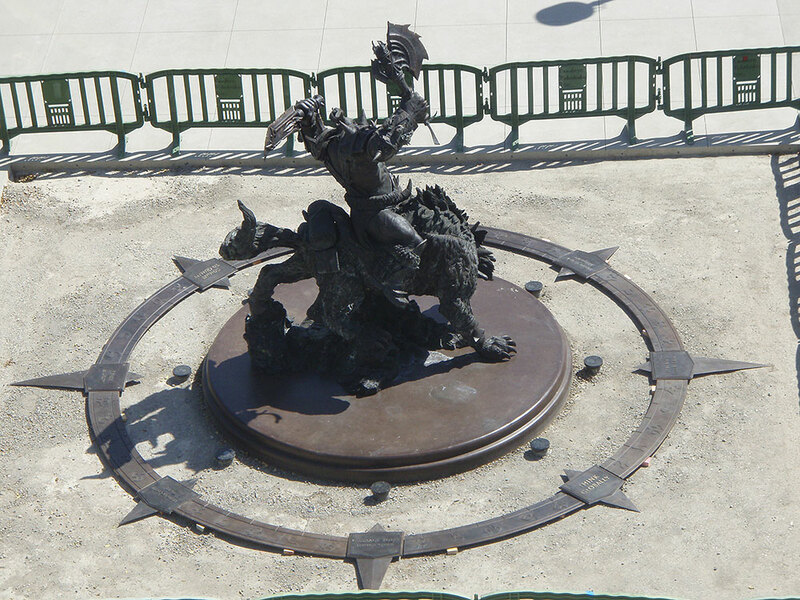 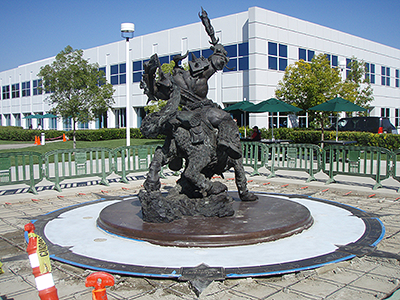 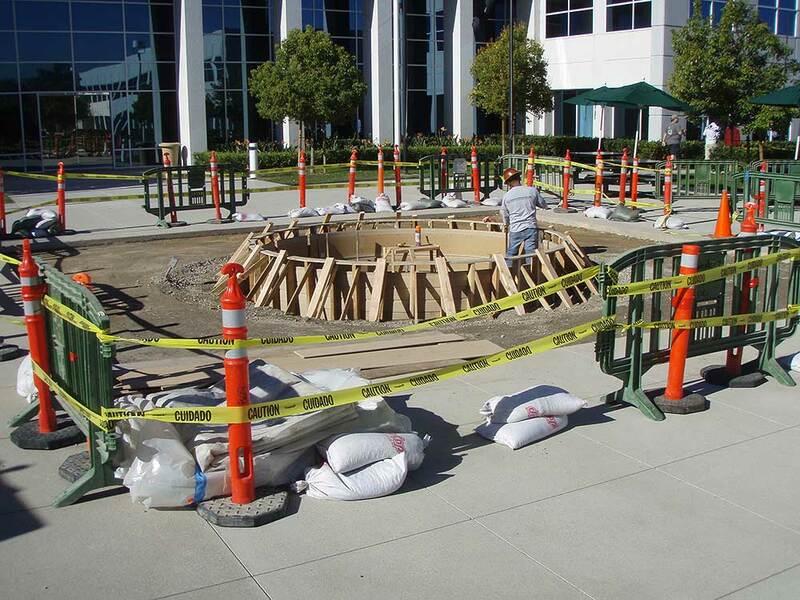 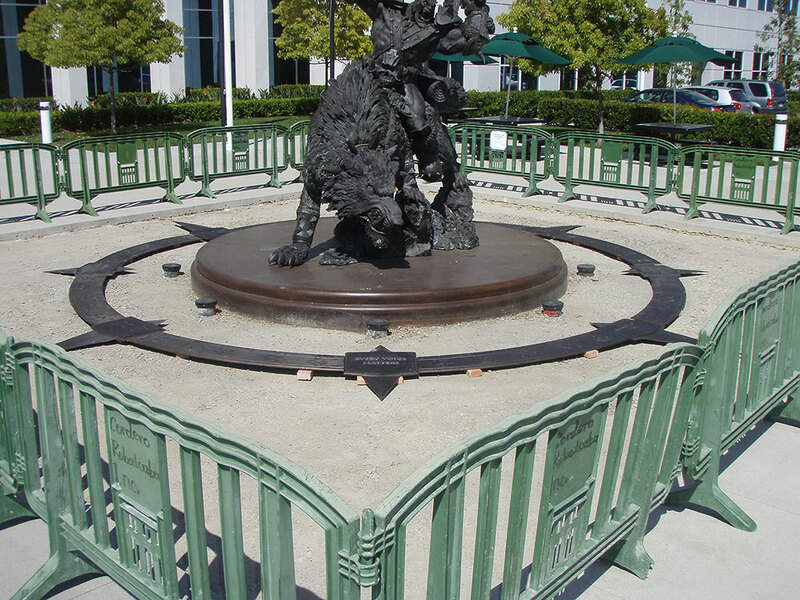 The statue in Irvine is surrounded by a runed compass with Blizzard's eight core values at its points. 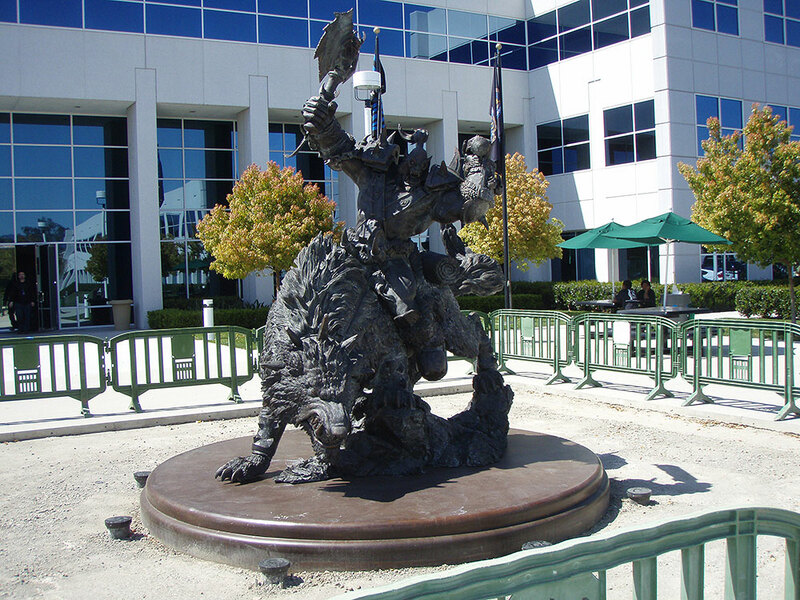 Blizzard also awarded a version of this statue to World of Warcraft players who had been playing for ten years to celebrate the game's 10 year anniversary.